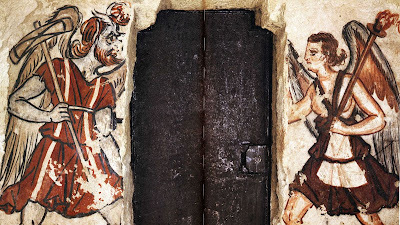 I have a few subjects to talk about but being busy right now, I'll just report on this neat link with a number of photos of ancient Etruscan art and painted Etruscan tombs. A great testimony to how extensive and elaborate trading networks were in the ancient world is the presence of wildly foreign objects like elephant tusks and ostrich eggs in ancient Crete. 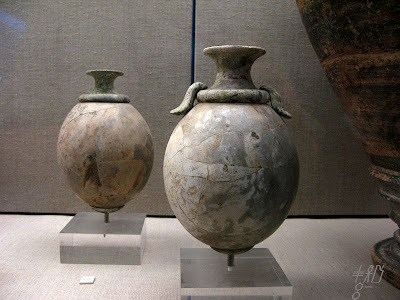 This might seem astonishing on the surface but it gives us a clue that the Minoans had an appetite for these items to the far south and the Egyptians were in a position to take advantage of this commerce. The use of the ostrich egg as a drinking cup or rhyton is an interesting subject elaborated on in The Fashioning of Ostrich-Egg Rhyta in the Creto-Mycenaean Aegean at the Thera Foundation website. It provides many details about their adornment and repurposing into vessels. It can be easily concluded that the prized eggs must have ultimately come from Sudan since the geographic distribution of ostriches are limited. Obtaining them through Egyptian trade seems like the most efficient path of acquisition. One thing that I notice the article doesn't go into is the significance of the eggs to the Minoan. We must ask why they needed such eggs in the first place since they could surely fashion vessels in many other more efficient ways not involving long-distance trade. The egg however is a symbol of the cosmos and creation, present even later in Greek symbolism, and stemming from Egyptian beliefs. The 'adorning' of the egg is interesting because in Greek, at least, κόσμος 'natural order, cosmos' also meant more fundamentally 'adornment'. The adorning of the egg is as if the artist is adorning the cosmos. It's the imitation of the godly act, it seems to me. I can't say I'm terribly fond of cheaply assembled tourist sites pretending to be genuine blogs and designed to lure netizens in with minimal content while laced with a minefield of ads from top to bottom. Nonetheless, ignoring the advertisement hell (just don't click any of it) and the brainless hook that visiting these tombs "will make you feel like Indiana Jones when you explore them," Maremma Guide still has some great photos here for viewers to learn from about the construction of Etruscan tombs. I'd just hate to see a yahoo like Indiana Jones visit them though because we all remember what happened to all the other tombs that guy visited, don't we? It's rather clear that the first line of the inscription records a freedwoman named Kanuta giving an offering. I can only imagine that perhaps originally an Oscan slave-girl from the south, the Larecena household had bought Kanuta as hired help and a reasonably to-do man of the Pinie family eventually swept her off her feet in marriage. Somewhere in between she was manumitted and became a full-fledged Etruscan citizen. In the end, however it transpired, I gather the freedwoman must have gained personal wealth of her own to have made this fine offering. Not bad for a former slave. Good for her. Of course, if somebody has an alternative biography in mind, I'm open to new perspectives as long as it carefully respects the grammar of the first line. In the second line, the god Tluschva is named recipient of Kanuta's offering and I've already identified this deity as the god of the seas, comparable to Roman Neptune, based on my interpretation of the outer rim of the Piacenza Liver. Now we just need to grasp the next two hapaxes, marveθul and faliaθere, and wrap our translation up into a package that's historically coherent. Rex Wallace, like countless 19th-century linguists before him, indulges in idle Latin look-alikes with marones and falando on his own blog but this just isn't acceptable or productive in modern linguistics. A careful morphological breakdown must be preferred over eyeballing. Assuming that the words are parsed correctly, first and foremost marveθul must be a type-II genitive of *marveθ while faliaθere is an animate locative plural of *faliaθ. 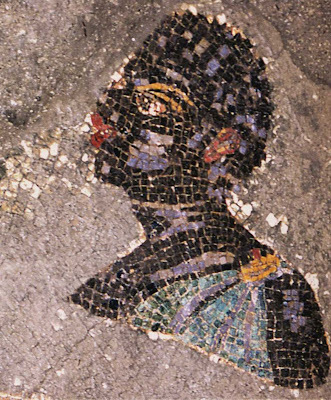 In any novel Etruscan word we may encounter, native derivations are predictably built on head-first roots. 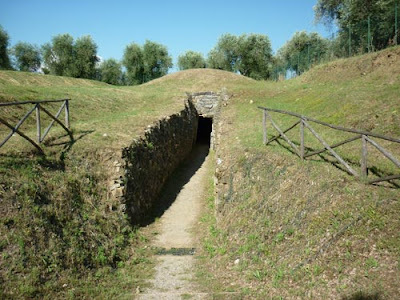 Ergo, chances are that if marveθul and faliaθere are native formations, they are built on roots mar 'to harvest' and fala 'hill; hypogeum' respectively. I give these roots these values based on a number of other inscriptions where these values seem to consistently fit. The former root is present in the Etruscan godname Maris 'Harvester', consistent with Roman Mars' original agrarian function, while I trace the latter root to a recent loan (cf. Latin fala 'siege tower') with funerary nuances. Put it together and the whole inscription then reads: "Kanuta, freedwoman of the Larecena, Aranth Pinie's wife, gave to Tluschva of the Harvested (Tlusχval Marveθul) before those of the hypogeum". And what parallels of Tluschva of the Harvested are present in the surrounding classical world of that time, pray tell? Try the Roman god Consus, god of harvested fruits and wheat. 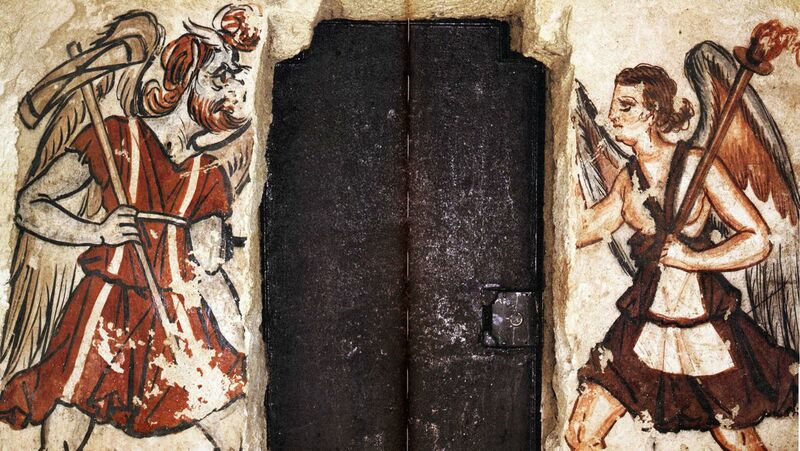 Both Dionysius and Livy mention his connection with the god Neptune and subterranean altars were devoted to him. In the absence of other possibilities discussed online, here's a tantalizing match to consider. Takács, Vestal virgins, sibyls, and matrons: Women in Roman religion (2008), p.55 (see link): "On August 21st, the Romans honored Consus, god of harvested fruit, in general, and wheat, in particular. [...] The Consualia featured horse races. Since the horse was associated with Neptune's Greek equivalent, Poseidon, this was reason enough to think the festival was in honor of the equestrian Neptune (Livy 1.9.6)." Ever since Japan's horrible earthquake, the vultures at CTV News, CBC News, BBC news and many other news stations available on my TV have predictably latched on, chasing the sensational headlines like crack addicts chasing the pipe, providing 24-hour coverage for sadists who need to know all the calamitous details of other people's misery in the comfort of their safe living rooms. The toxicity levels of the television programs are starting to make me noxious. If the TV news were informational and constructive at all it wouldn't bother me, but I shake my head at how consistently neurotic and obsessive these "newscasters" are at spinning everything into even bigger negatives than the world already is wrought with. While I'm usually pessimistic about a lot of things, television is giving me a Mr BadNews overdose now on a consistent basis. They've naturally latched on to the stories of damaged nuclear reactors after the earthquake and now want to make us all afraid about nuclear meltdown à la Chernobyl. But even if the dreaded worst happens, what could any viewer do about it? In what way does this news inform most of us? All it does is enrage while disempowering us as we are left clueless on how to seriously budge the giant corporate machine or aid the damaged world by any realistic and meaningul way. If I want balanced coverage of a particular topic or to learn about something other than the Japan earthquake today (like, say, those poor people in Libya still fighting for their freedom that we all forgot about, hmm? ), the internet supplies more information. I find myself instinctively turning off the TV altogether and being online. If one feels they want to help, yet again, that information is online. This is strange because, being in my mid-30s, I grew up with TV but I'm now wondering why anyone bothers with that dumb box anymore. It's just static noise. Two and Half Men again? No, thanks. Even Charlie Sheen knows it's shoveled manure so he can't be all that kookoo. In the past decade especially, I feel like TV has become an antiquated medium for bitter old people with no taste. I google for the information I want when I need to seek out a more balanced picture of world events. I'm resourceful enough to find better shows and movies online instead of being subjected to repeat after repeat on TV. 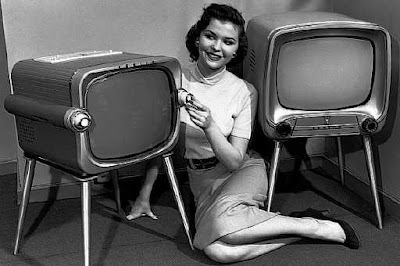 There's probably little point to my post today other than to remark on how hopelessly irrelevant television has become to me and I'm suspecting, most of you too. I suppose this still has relevance at least to modern sociology and the topic of paradigm shifts. I celebrate TV's destruction (or to be more detailed, the complete assimilation of television into the more expansive, diverse and versatile internet medium). In Klaus Kuhlmann's Throne (2011), I see some debatable claims that seem rooted in a naive literalism and lack of larger vision beyond the details he labours on. "None of the many Egyptian terms referring to the 'throne' imply the 'regal' or 'religious' connotation the word carries today." This first statement crumbles swiftly once we realize that 'throne' is not the only way to translate these words. Given the semantics he describes, English already has a good equivalent in 'seat' - at once secular and religious, regal and commonplace. The language differences he points to are selective, imaginary and misleading. "As an object, which could be desecrated (for example, by usurpation), the Egyptian throne underwent purification rites. There is no evidence, however, of it ever having received cultic reverence or having been deified (as the goddess Isis)." His determination to diminish the widely known historical importance of the cultic throne is odd. Whether Isis is a deified throne anthropomorphized or goddess as throne is moot; the effect is the same. Despite the many ways one might perceive this object or instrument of devotion, the rites pertaining to kingship and throne remain the same nonetheless. Isis undeniably became related to the notion of authority no matter what the origin of her cult. This cult too extended far beyond Ancient Egypt into neighbouring cultures. 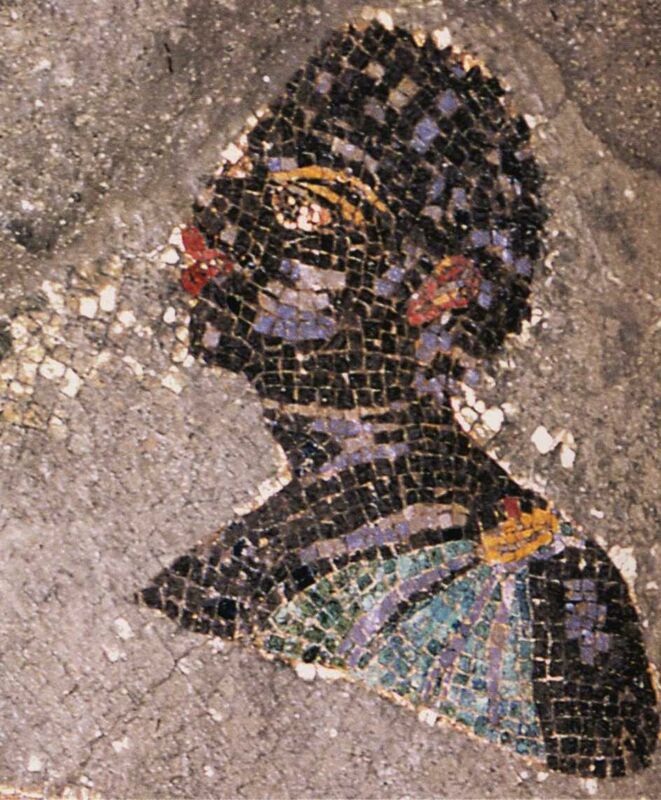 It would be ignorant to deny that cultic thrones were present all around the surrounding Mediterranean, among the Minoans, Mycenaeans, Hittites, and Phoenicians. An Etrusco-Punic artifact known as the Pyrgi Tablets suggests a derivative of these earlier Egyptian traditions. The artifact replaces the Egyptian goddess with fitting foreign equivalents, Etruscan Uni and Punic Ashtarte. 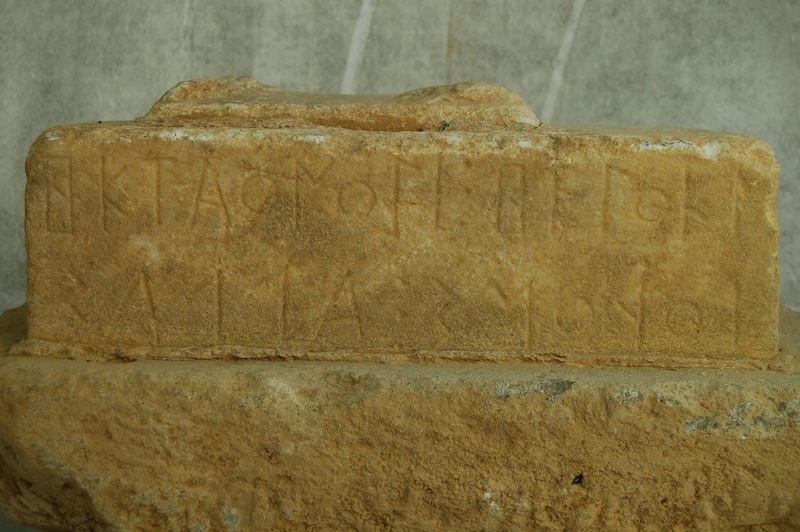 In that inscription, it's explicitly explained that Thefarie Viliana was raised by Uni-Ashtarte's very hand to rule the city of Caere. Both Caere and Carthage share the very Egyptian theme that Kuhlmann seems to downplay: Isis as deified throne, Isis as granter of authority. To add, consider Hattic Halmasuit, a contemporaneous "throne goddess" to Egypt's north. How well versed is Kuhlmann in surrounding non-Egyptian history? Could he be seriously dismissing the role of Isis in kingship altogether? "It was mainly Ra, Atum, Amun, Geb, and Horus who confirmed pharaoh's rightful claim to power by saying 'to thee I give my throne...' (e.g., Sethe Urk. IV: 563, 571)." Listing only male deities as those who mainly "confirm pharaoh's rightful claim to power" strikes me as a bit chauvinistic. According to Egyptian legend, Isis had resurrected the divine first king of Egypt, Osiris, from death so that he may become ruler in the underworld. As Osiris represents the mortal king, Isis acts as the source and embodiment of his authority, directly shown in her active will to restore Osiris as god-king. Consider too Cleopatra's later self-association with Isis, effectively then empowering female rule as well as male. So if this overwhelming evidence shows that Isis granted power to the ruler and gave support to his authority, why does Kuhlmann not list Isis too as a confirmer of pharaoh's right to power? Because Isis is female? Among the matrilineal Minang people of Indonesia, property is inherited through the female line. It should not then be so unusual that it's a female granting power to male rulers. The absence of Isis in his list then is an odd gap. Is there a Victorian belief at work here enforcing an outdated notion that only male entities can ever grant males power in societies? "The block-throne sign on the head of Isis (3st: HCE) is not a symbol but 'writing' (= s/se). It allowed the identification of iconographically undifferentiated female deities just as other hieroglyphic signs like [see symbol in article] or [see symbol in article] on the head of other goddess denoted a 'reading' as 'Nephthys' or 'Nut', respectively." Since writing is transparently symbolic in itself, Kuhlmann's pedantics grows mildly vexing. By lumping the main female deities into a big hazy pile of confusion, he artificially incubates a different artistic analysis of the female deities compared to the male ones, imposing a sexist bias. One could equally muse that the feather atop the god Shu's head is likewise "merely writing", not a full-fledged symbol, and only used to differentiate him from a cloud of vague male gods too then. In what way can Kuhlmann prove that Egyptian goddesses are, to quote his wording, "undifferentiated" - that is, in what way are female Egyptian deities as a whole any *more* undifferentiated than male Egyptian gods as a whole? I'm not as yet convinced of a difference. So by the end of the article, Kuhlmann is making many confident statements but which have no relevance or basis to the issues he raises. Is this consistent pattern of inventing false dichotomies to write about deliberate (ie. writing vs. symbol, the semantics of 'throne' vs. that of Egyptian terms, representation of male gods vs. the allegedly more undifferentiated female goddesses, goddess as throne vs. throne deified, etc.)? Or was it accidental that he authored this big ball of hanging threads and contrary claims? Botterweck/Ringgren, Theological dictionary of the Old Testament, vol 7 (1995), p.240 (see link): "The throne of Pharaoh was deified at an early date in a development comparable to the deification of the 'throne seat' (ḫalmašuit) in the Old Hittite period of Boghazköy. The same hieroglyph represented both the throne and the goddess Isis." Botterweck/Ringgren, Theological dictionary of the Old Testament, vol 7 (1995), p.241 (see link): "The so-called identity theory holds that Isis as the personification of the ruler's throne represents the personified power of the throne. Jürgen Osing and Kuhlmann, however, reject any etymological, morphophonemic, or semantic connection between ś.t 'throne,' and ȝśt, 'Isis,' on the grounds that the name of the goddess derives from the root wȝś (< *ȝś) and means 'the one who has sovereign power, powerful influence.' The throne symbol depicted on Isis's head represents merely a graphic aid to identification, although even the Greek Isis areatologies already interpreted this symbol as identifying the throne and Isis. 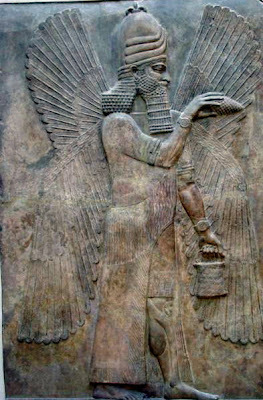 "; McCabe, An examination of the Isis cult with preliminary exploration into New Testament studies (2008), p.103 (see link): "A possible connection with Ra could also be illustrated by the hieroglyphic name of Isis, meaning 'seat' or 'throne' (thereby demonstrating 'her association with sovereignty')." 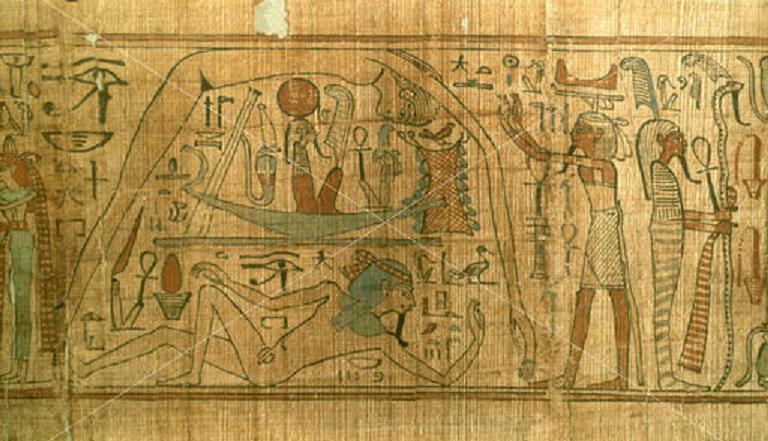 Did Ancient Egyptians believe in an "end-time"? Elsewhere in webspace, a commenter sparked in me a neat idea. 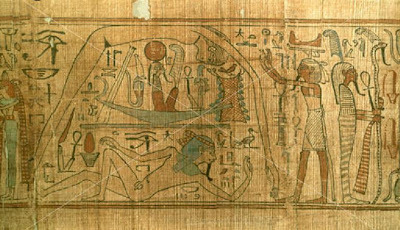 In Ancient Egyptian there was a phrase for the beginning of time, *θāpa tapī (normally transcribed as zp tpy). The word for 'time' is *θāpa and the adjective *tapī 'foremost, beginning, head' follows the noun as in French. The adjective is built on the word *tap (tp) meaning 'head' and so it can be translated as 'first' in the sense that it precedes everything else. 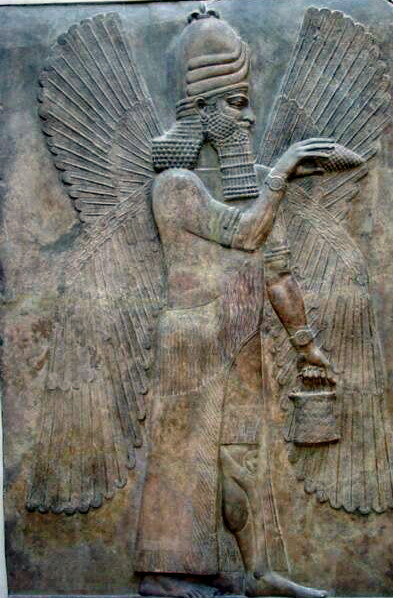 When directly pondering the phrase though, I started wondering about a hidden calendrical interpretation of the adjective since Babylonian calendar terminology describes the beginning of the year as the 'head' of the year. Is it possible that Egyptians too considered creation as merely the 'head' of a cosmic age? Here then may be implied the notion of cyclical creation and destruction. This tips me off to an implied destruction prophecy lurking about. Did the Egyptians believe in an end to time in order to balance the stories of its beginning? Geraldine Pinch in Handbook of Egyptian mythology says 'yes' on page 89: "In Book of the Dead spell 175, Atum declares that after millions of years he will destroy everything that he has made 'and the land will return into the Deep, into the Flood, as it was before (creation).'" Note that 'million' in Egyptian was *ḥaḥ (ḥḥ) and could also refer to 'an uncountable number' or 'infinity'. Remember too that Atum is the god of the setting sun, harking back to a connection between grand cosmic cycles and the daily and yearly solar cycle. It implies that, though there would be an end, a new beginning was also inevitable to the faithful Egyptian. This additionally helps me reconcile similar Etruscan beliefs in cosmic creation, destruction and rebirth encoded in their own concept of saecula (alluded to by Roman commentators and relayed in dumbfounded confusion by modern specialists) with what appear to be this Egyptian foundation of cosmology. Answering your own silly questions sure pays off! It came to me just yesterday that while people may write about Greek philosophy or Roman philosophy, nobody ever talks about Babylonian philosophy. I figure that this probably has something to do with the fact that Babylonian texts of this nature are hard to come by. However, I decided to look it up just in case I missed something (which is quite possible for any of us in the vast field of ancient history). Unexpectedly I came across a small mention of a curious document called the Dialogue of Pessimism which records a series of odd conversations between master and slave talking about different courses of action the master could take in his life followed by input from the slave for or against these courses of action. In the end and absurdly, when the slave is asked which course he would take, he deems death the most preferable option in all things. I'm sure the conversation was intentionally a spoof and not an earnest espousal of nihilism. Böhl once referred to similarities in its concept with the Roman holiday called Saturnalia where, for a day, the slave becomes master and master becomes slave during the celebrations, a kind of role reversal. I also think of the words of the legendary Greek satyr Silenus, constantly drunk on wine, who philosophized in his wild stupor that human beings would be happier if never born. So I guess, pessimism is quite an ancient idea indeed. My philosophy is that thought is never done and conclusions are often temporary. This is how adaptive learning works. So I continue to revisit things, always looking for a better answer. That Lemnian inscription I previously talked about here and here is still weighing on my head and I just thought of another possible interpretation worth considering. Previously, I suggested that hktaiunuśi may refer to a personal name and thus 'on behalf of Hektaion'. However I stumbled on another Greek comparison that shows promise: Ἑκάταιον 'temple or statue of Hecate'. Such a loanword would give a different value for hktaiunusi, 'on behalf of/for (-śi) the temple of Hecate (hktaiun-) ', implying that the stone base in question was bearing a statue of the goddess Hecate. Indeed, Hecate was known to be an important deity in Samothrace, right next door. What a nice coincidence. So I could just shoot myself for not piecing this together before. Keeping with my understanding of heluke as 'has slain' and assuming Suffixaufnahme, the indirect object of the action is *śurum aśil in unmarked form (ergo, a double-marked genitive śurum-s aśl-as). The phrase then must refer specifically to a sacrifice being offered up to Hecate. This might bear fruit considering Aramaic *šōr [šwr] 'ox' and the Greek sacrifices known as hecatombs. But what then is *aśil? My Etruscan database calls up one instance of exactly this word in TLE 205 although I've been unsure whether it was simply a transliteration error for acil or not. Other Etruscanists seem likewise confused and I have no photo of it. Helmut Rix transcribes the second line as asil sacni and I notice that Paul Kretschmer had once translated it has 'holy altar'. I wonder if this is close to the mark. By giving Etruscan asil the value 'altar', asil sacni becomes 'altar (of the) sacred' and then the Lemnian inscription, Hktaiunuśi heluke śurums aślas, becomes "For the statue of Hekate an ox (or hecatomb?) for the altar has been slain." Rice/Stambaugh, Sources for the study of Greek religion (1979), p.161 (see link).